The leader in quality Veterinary Pharmaceuticals. One of the most respected contract manufacturers in the United States. We've been keeping families healthy for six generations, and growing. The only U.S.-based independent contract antibiotic finisher. Trusted by the dairy industry worldwide since 1846. 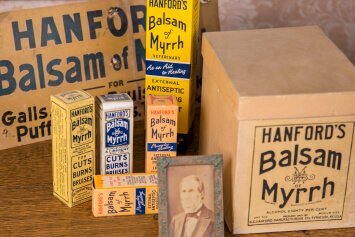 From anti-bacterial liniment, to inventing the mastitis syringe treatment, to filling sterile human and veterinary products, throughout the years Hanford has pushed to be the front runner in the manufacturing of antibiotic products. 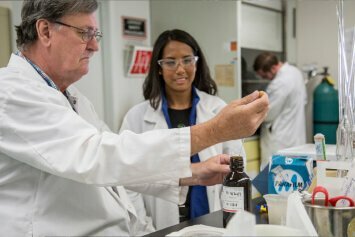 It is the only remaining independent, family owned, antibiotic contract manufacturer in the USA. 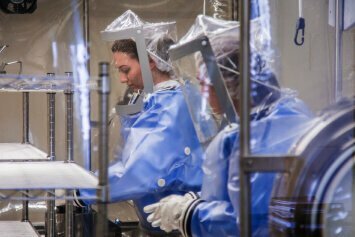 With the acquisition of a 36,000 square foot facility which is conveniently located adjacent to its main plant, Hanford welcomes new business opportunities that fall within their niche of penicillins and cephalosporins, as well as projects that go beyond the realm of antibiotics. Being a family owned company, Hanford is fortunate to have a workforce that is well educated, well trained, experienced and above all close-knit. Hanford has the capability of completing projects under high FDA standards in a very timely manner.